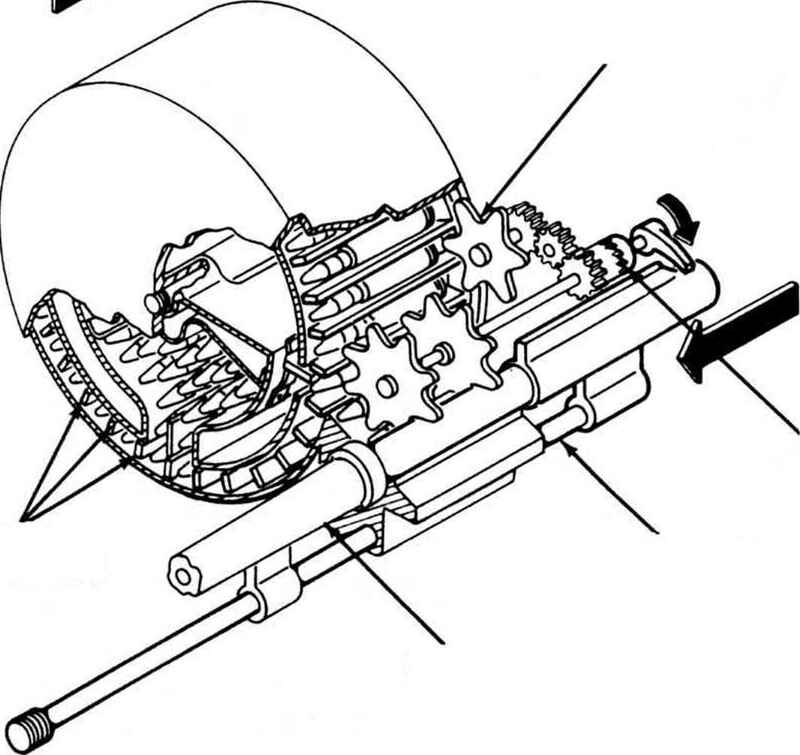 The earliest machine guns relied on gravity to feed ammunition to the weapons. Typically, there would be some form of vertical guide above the gun into which the cartridges would slot, properly aligned with the chamber. The lowest cartridge would be suspended just above the bolt, or pressed against it, so that after recoiling to the rear, the bolt would push the next cartridge into the chamber on its return. This form of gravity feed remained popular in larger cannon calibres for many decades, as it is simple and reliable. 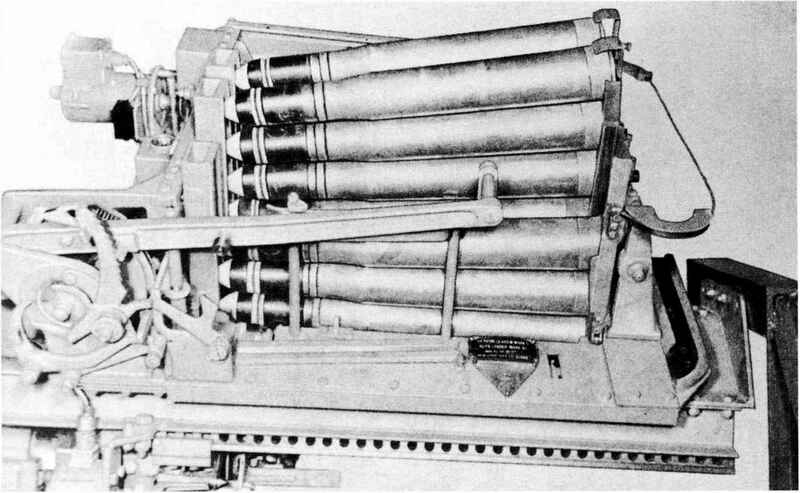 Ammunition for the original Bofors gun, for example, was held in groups of four by a light-alloy clip fitting around the head of the case. 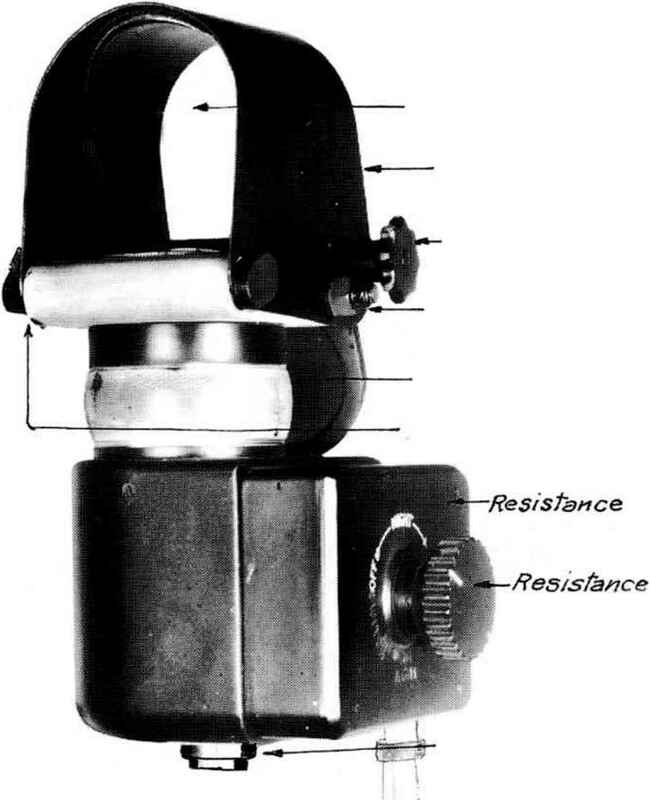 Each clip was dropped into the guides above the gun as required. 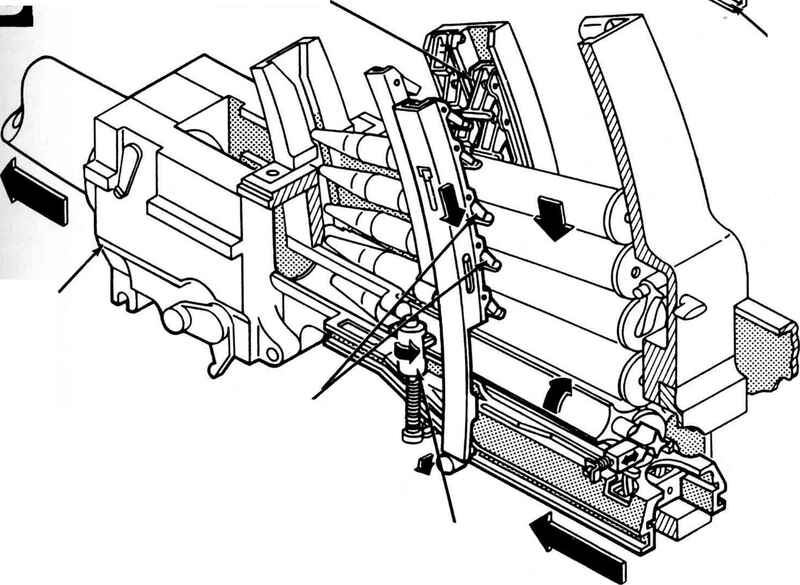 In modern versions, large-capacity magazines are available together with automatic clip handling, but gravity is still utilised. The main problem with the basic version of this method is that only a small quantity of ammunition is ready to fire at any given moment. Continuous fire requires loaders who are kept very busy scurrying to and fro, feeding the beast. It is therefore only appropriate for circumstances where the gun is stationary and there is plenty of room around it for the gun crew to operate without much fear of being gunned down - in other words, in land- or ship-based anti-aircraft weapons. extended period of uninterrupted fire account for the different types of ammunition feed currently in use. 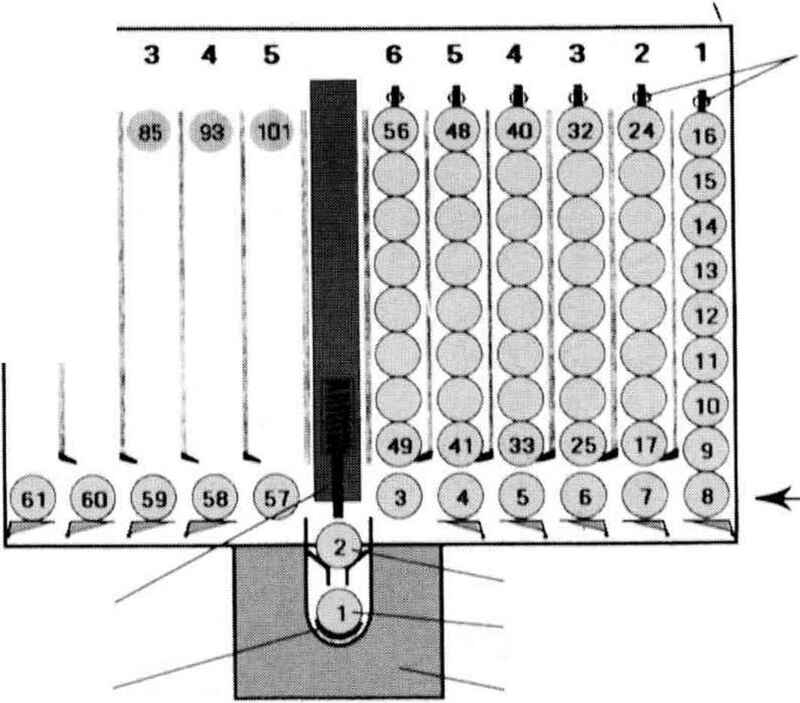 In larger calibres, this has been achieved by retaining gravity feed but arranging a device which holds several stacks of cartridges side by side, from which rounds are moved to the breech in turn. 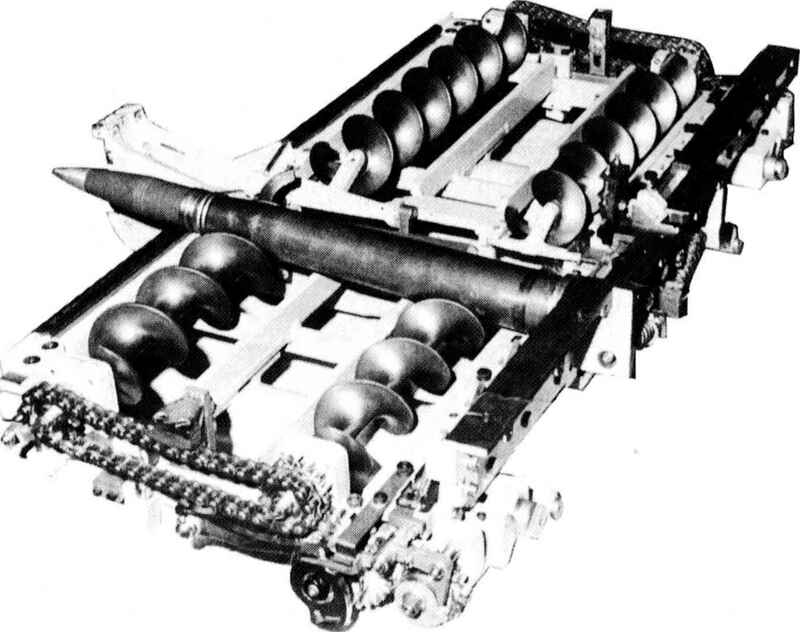 This method was used in the 57mm Molins gun carried by Coastal Commands Mosquito XVIII anti-submarine aircraft, in which gravity was assisted by a spring-powered arm on top of each bank, with electrical power being used to shift the banks into position. A modern example is the Bofors SAK 40/70E naval gun, which has a 101 -round magazine consisting of ten columns. In smaller calibres, detachable box, drum or pan magazines have sometimes been used. In a box magazine the cartridges are stacked on top of each other, in one or two rows. A drum is a cylindrical container which holds the rounds parallel to each other. A pan magazine (sometimes also referred to as a drum) is circular but flat, with the cartridges arranged radially, all pointing inwards. 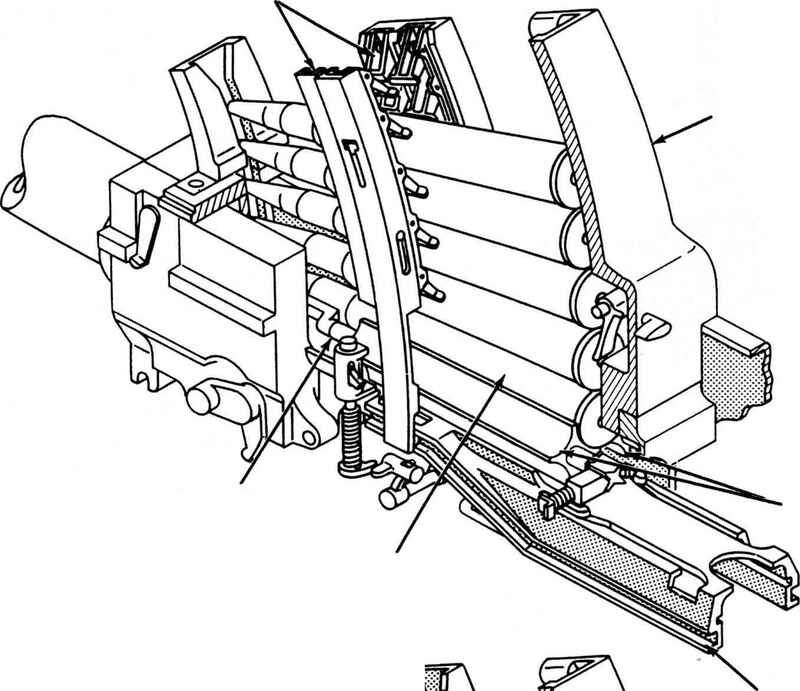 All of these types usually have an internal spring which keeps the cartridges pressed against the open end of the magazine; they are stopped from falling out by lips which only permit them to slide out lengthways. 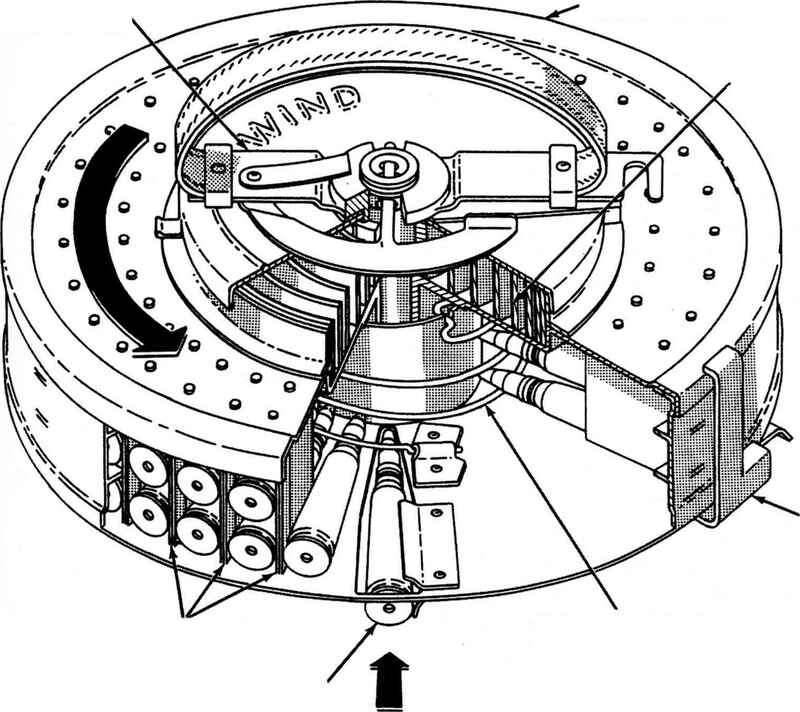 A less common variation with drum or pan magazines is for them to be rotated by the gun s mechanism, as in the Lewis RCMG, or by some other external power source. Cam on Bolt Rotates Feed Drum and Feed Sprocket. violently manoeuvring aircraft. The main disadvantage is of course that their capacity is necessarily small, both because of their bulk and because there is a limit to the amount of work a spring can reliably be expected to do. - which normally used twenty-round boxes. warship, the capacity soon proved inadequate in attention turned to belt feeds. 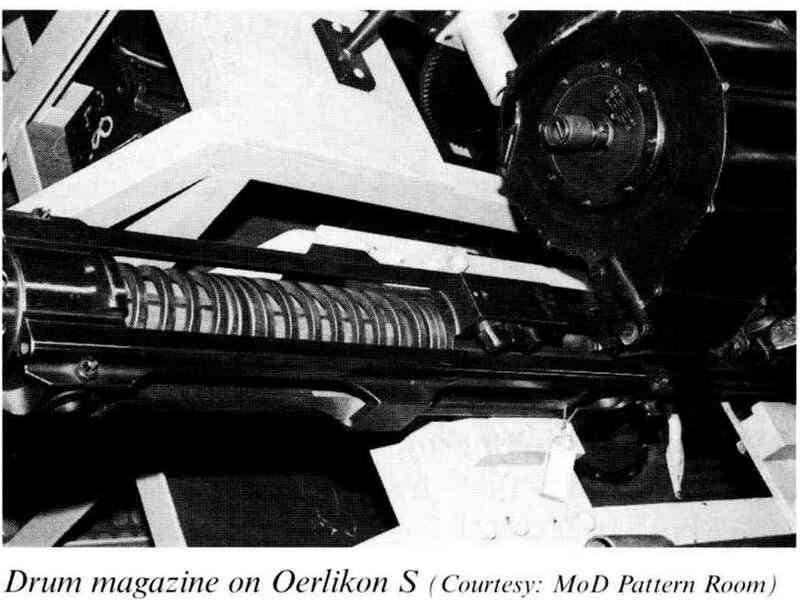 Belt feeds were actually developed very early in developed, but their bulk counted against them and the life of machine guns, and were utilised by the original Maxim. 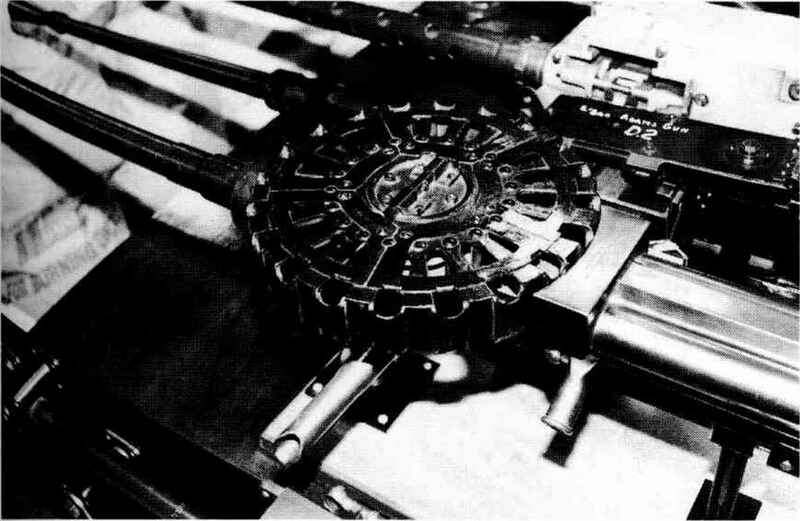 In this weapon, as with the early Vickers derived from it, the belt was of canvas with pockets sewn into it for the cartridges. As the early military cartridges were rimmed, this meant that they had to be withdrawn to the rear by the loading mechanism before being pushed forward into the chamber. Canvas also had the problem of being affected by moisture. 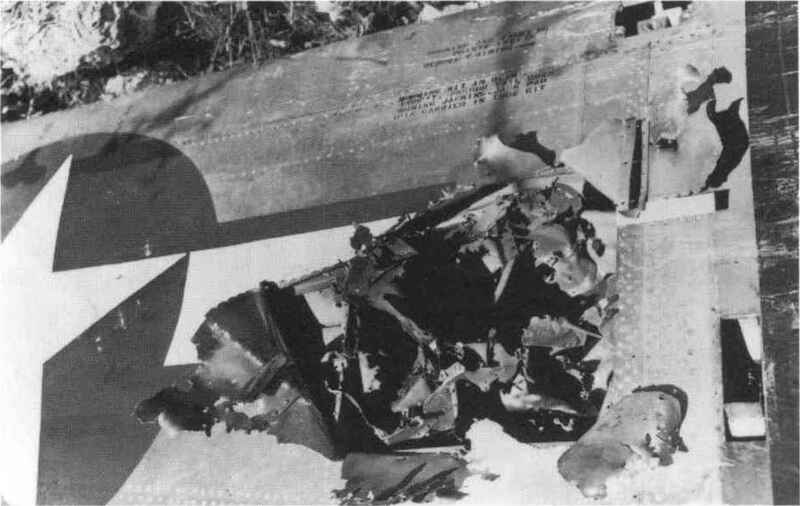 Finally, the existence of the emptied belt flapping about clearly proved a nuisance in aircraft applications, prompting the introduction of the disintegrating link steel belt. 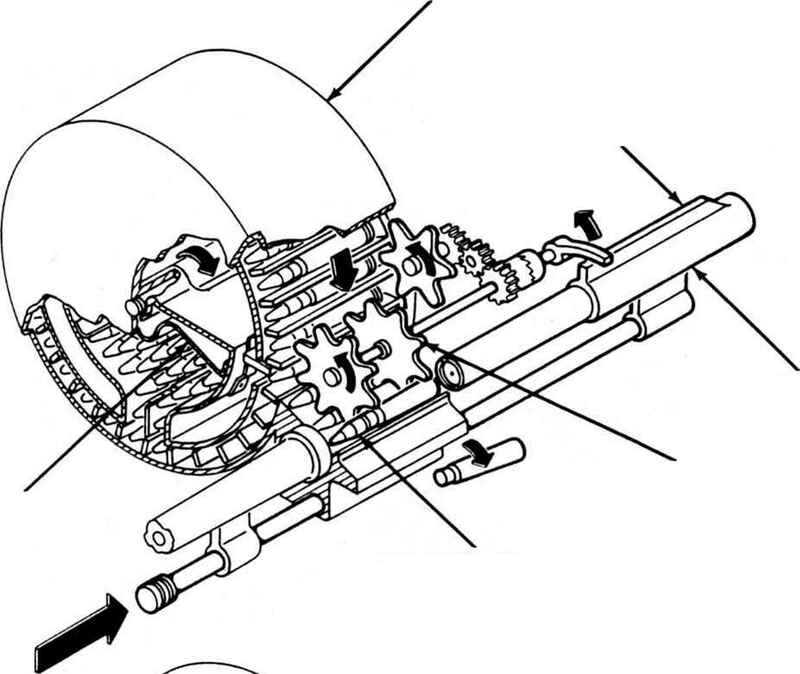 What is the Purpose of a sprocket feed out?